Beautiful Barcelona was the setting for the exciting 2017 edition of the ESL Language Travel Awards! The glamorous gala night took place on November 30th with all of the most important players in the language travel industry in attendance. 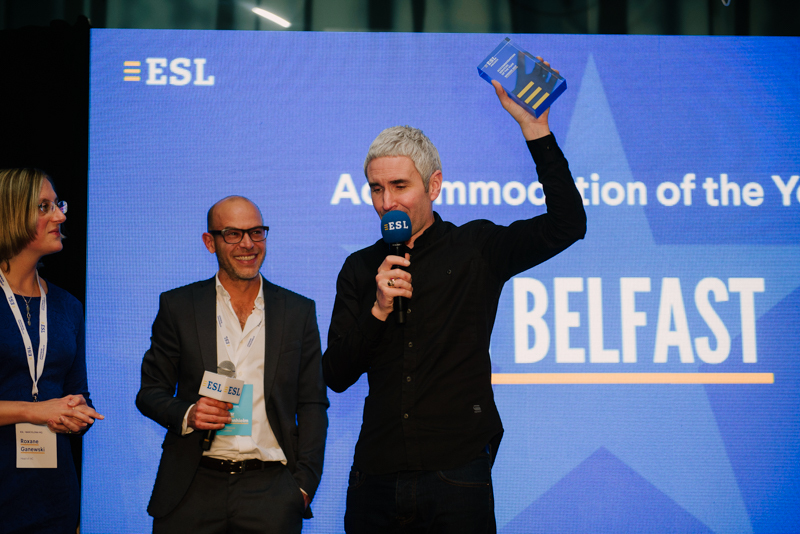 IH Belfast were over the moon to win Accommodation Services of the Year for the 2nd year running, an incredible achievement and of course well deserved. We were also delighted to be nominated for the School CSR Champion of the Year Award. 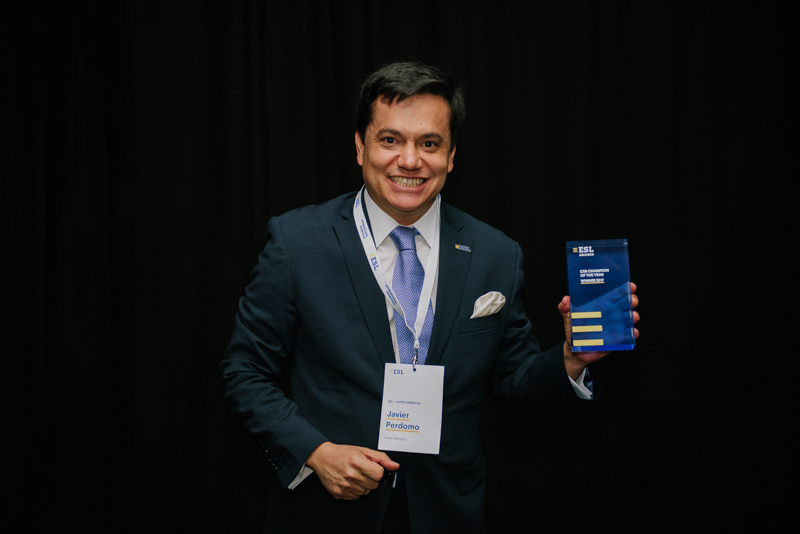 Our great friend Javier Perdomo from ESL Latin America won the ESL CSR Champ of the Year award and fair play to Javier, always a gentleman, who gave IH Belfast great thanks as having played a key part as partner in him winning his award in his acceptance speech. Rock and Roll Javier. We look forward to continuing to fight the good fight with you in 2018 and for may years to come. IH Belfast were also voted in the top 10 for Best School of the Year (6), Leisure Programme of the Year (8) and Junior Programme of the Year (7). So 1 award, 1 top 5 nomination and 3 top 10 places in 8 categories. All pretty amazing stuff for a small school in Norn Iron. The achievement is even greater considering that’s out of over 200 partners making up over 450 schools. Big thanks to ESL as always for an amazing event and for being the best language travel agency out there!!! !